It has been a long time since I was matriculating at my alma mater but clearly I can tell that school is starting up for a lot of people. My inbox is full of emails from students asking where they can find data for their projects (I like students who are proactive and not reactive to their school work). WeoGeo has over 8 terabytes of free and inexpensive data available in the WeoGeo Market for inclusion in your analysis. 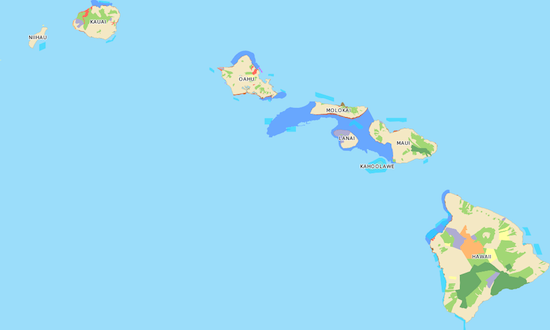 Just this week we uploaded some great data from the State of Hawaii on Hawaiian Natural Areas and data from the Center for Disease Control and Prevention on U.S. Diabetes and Risk Factor Prevalence. We’ve also have the complete USGS National Hydragraphy Dataset and USGS Earthquake, Fault and Seismic Hazard data available for customization. Bonus points for using the WeoGeo Tools for ArcGIS to import these datasets into your ArcMap projects. Another great option for students is our WeoGeo Library. Generally after the end of the school year, students need to archive off their projects to some personal stoarge device. Students using WeoGeo Library know their projects are available semester after semester no matter where they are. Since WeoGeo Library is a system of record, you’ll always have them at hand. My masters thesis was stored on a Brother Word Processor which meant that the minute I lost access to that hardware device, I lost all my hard work (At least I remember it as hard work, ‘twas a long time ago). That’s why a real geospatial content management system like WeoGeo is the best way to manage your school work. Plus you can get started today, for free.